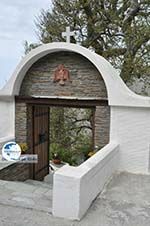 The Panachrantou monastery. The Panachrantou monastery is the most beautiful Byzantine Monastery of Andros. 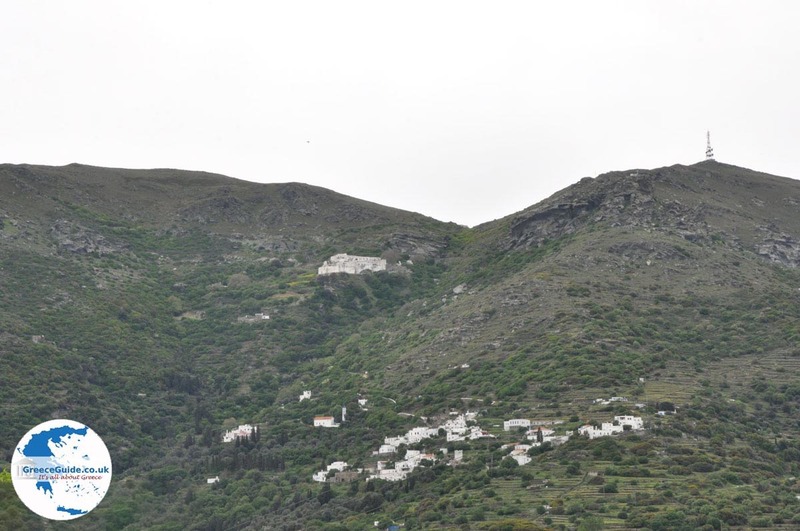 It is situated on the slopes of Mount Gerakones, at 200 meters (650 ft) altitude and about seven kilometers (4 mi) from Andros town. 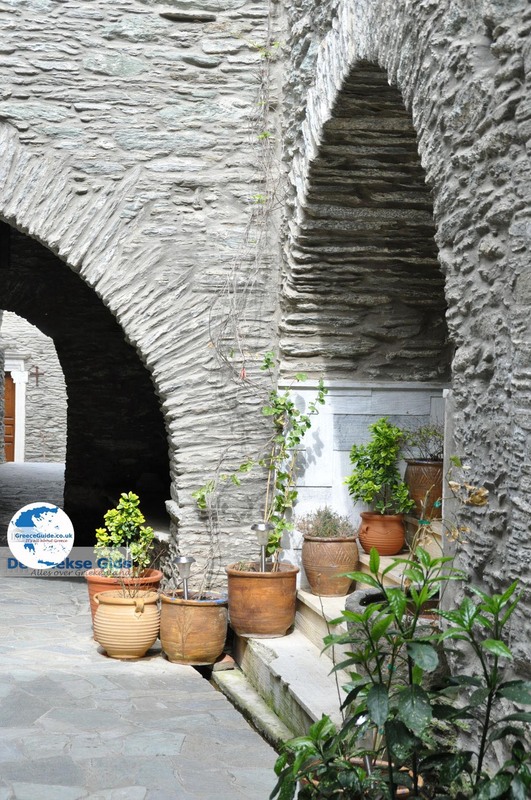 It was built in the year 963 by the Byzantine Emperor Nikiforos Fokas. 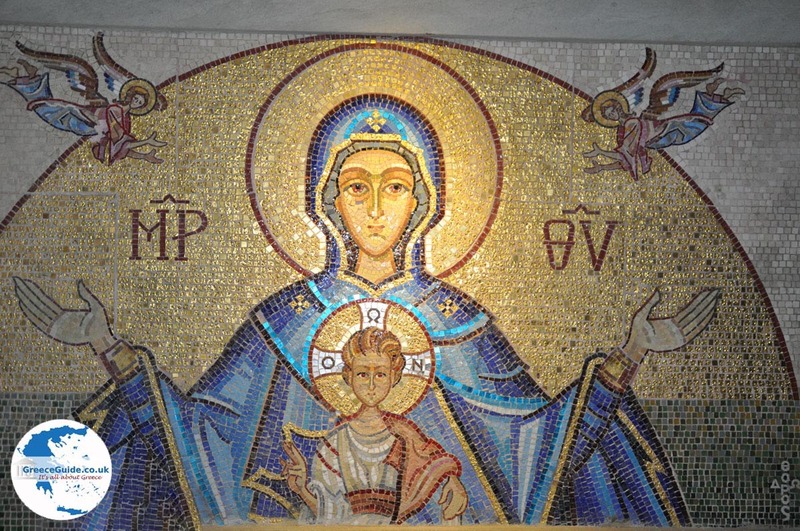 The church is dedicated to the Holy Mother Mary. 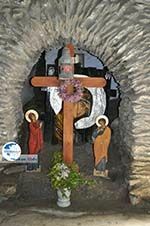 an icon of the Holy Mother Mary that is a work of Apostle Luke is preserved in the church. This icon was found in a cave by two monks. A temple once stood where the monastery is located today. The skull of Saint Panteleimon is also kept in the church. 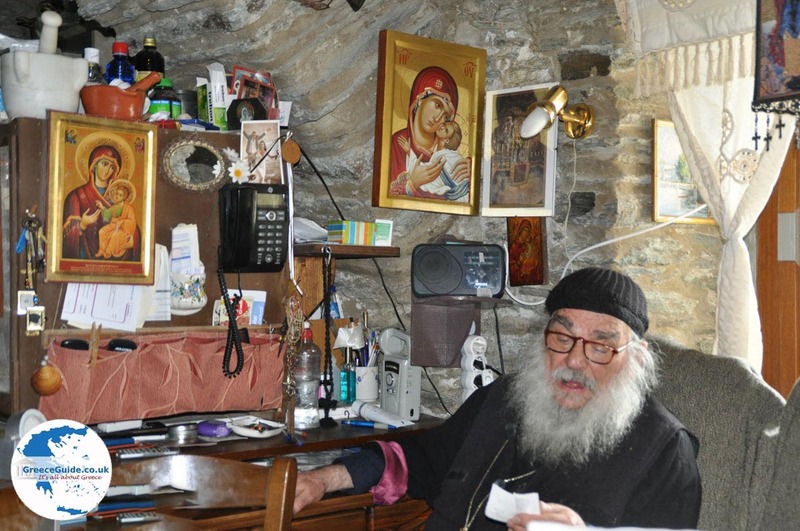 The monastery has a library with ancient documents, preserved books and other objects of immeasurable value. Three monks currently live in the monastery. The oldest monk, Evdokimos, is well known for his friendly hospitality and the famous pasta he makes for his guests. 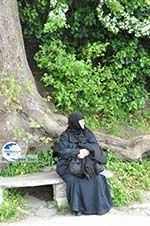 He has lived in the monastery alone for years in difficult conditions, because there was no good road leading to the monastery for a long time. 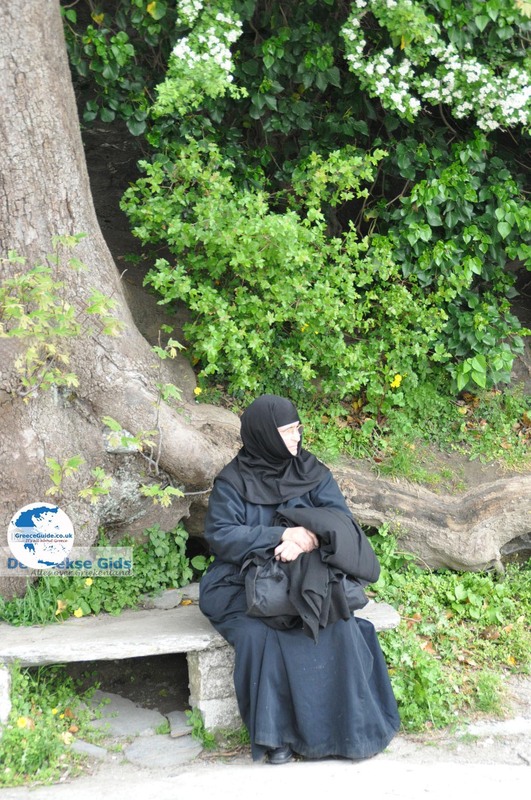 Now that there is a fine road, the monastery receives many visitors including many young people, daily. 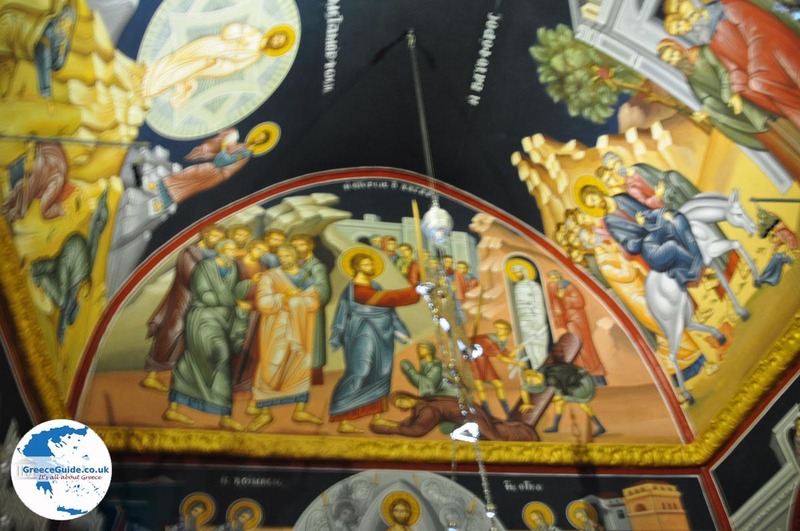 The church in the monastery has recently been completely renovated and decorated with beautiful paintings. It is worth a look. 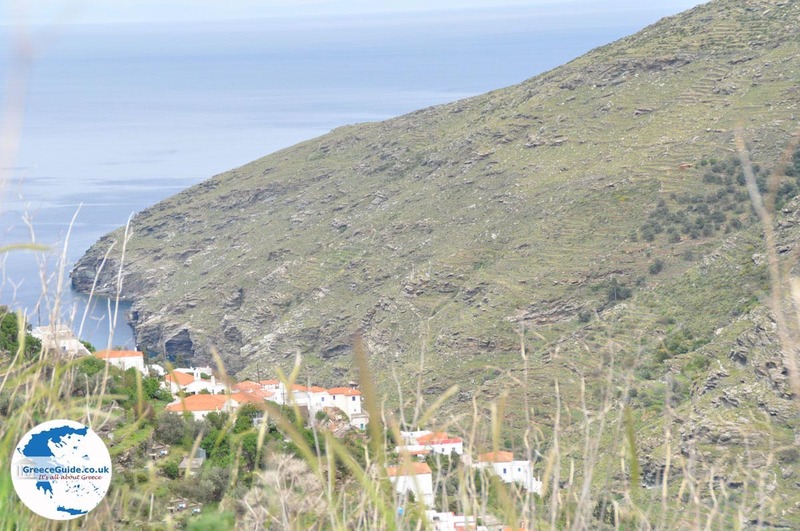 The view from the monastery to the valley, Chora and the sea is breathtaking. 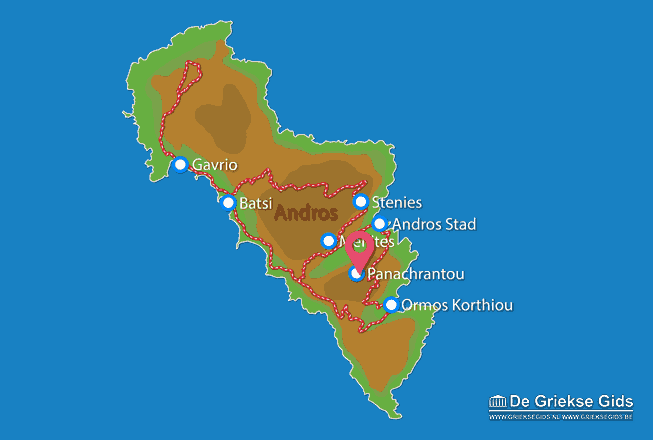 Andros: Where on the map is Panachrantou located?